At The Crooked Inn - Inn, enjoy a satisfying meal at the restaurant. Wrap up your day with a drink at the bar/lounge. A complimentary continental breakfast is included. With a stay at The Weary Friar in Saltash, you'll be within a 15-minute drive of Depth Well and Tamar Valley Donkey Park. This inn is 7.2 mi (11.7 km) from Dartmoor and 11.8 mi (19 km) from Derriford Hospital. Complimentary wireless Internet access is available to keep you connected. Bathrooms have showers and hair dryers. Conveniences include coffee/tea makers, and both cribs/infant beds and rollaway/extra beds are available on request. With a stay at Smeaton Farm - B&B in Saltash, you'll be within a 15-minute drive of Saltash Heritage Museum and Depth Well. This 4-star country house is 8.2 mi (13.1 km) from Dartmoor and 10.6 mi (17.1 km) from Derriford Hospital. One of the most striking landmarks of this quiet Cornish town is Isambard Kingdom Brunel's Royal Albert Bridge, which marked its 150th anniversary in 2009 and links Devon and Cornwall. This attractive settlement has existed since the Middle Ages, and benefits from fine views over the River Tamar estuary. If you're keen to learn more about the town's history, consider visiting the Saltash Museum, which opened in 2000 and contains an interesting collection of artefacts related to the town's heritage. 172 feet high and almost 2,200 feet wide, the Royal Albert Bridge is among the most architecturally impressive river crossings in the country. The structure, which took almost five years to build, received a prestigious Grade I listed designation in the 1950s, and is often included in many local tourist guidebooks. Surrounding more than 800 acres of beautifully landscaped grounds, Mount Edgcumbe House dates back to the 16th century and was carefully refurbished after the Second World War. Visit the much-loved SSEOSITE_LEVEL_DESCRIPTIONs Café and enjoy some scrumptious fresh breakfasts, lunches and cakes, and don't forget to see the Grade I listed Cornish Gardens and the Italian Garden. Another imposing historic house, Saltram dates back to the Georgian period and commands superb views of the scenic River Plym. The building was originally the residence of the affluent Parker family and is renowned for its large painting collection and elaborate Chinese-themed décor. 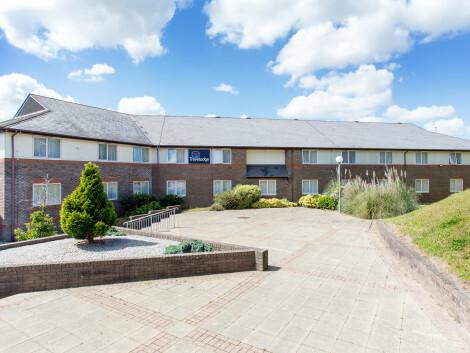 Enjoy some excellent hospitality and stylish accommodation at the St Mellion International Resort, or book a stay at the affordable and well-presented Travelodge Saltash or the deluxe China Fleet Country Club. Other reputed, value-for-money Saltash hotels include the Trenethick Farmhouse B&B and Smeaton Farm. If you're after some delightful British, Mediterranean and seafood dishes, choose The Cardinals Hatt, or enjoy some divine Italian cuisine at the Caffe Corradi. You can also treat yourself to other delicious British dishes at the Windy Ridge Eating House, Rod & Line Pub, or the Heskyn Mill Restaurant.